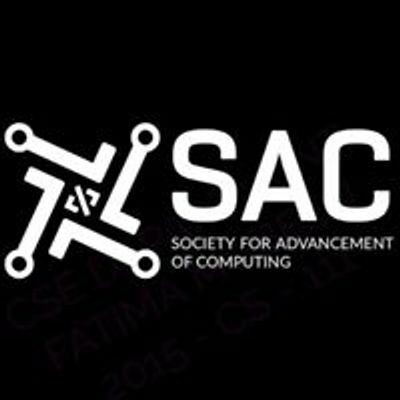 SAC-Society for Advancement of Computing proudly invites students to the various competitions under the name “ITEC’19”, being held on 26th to 29th March 2019. 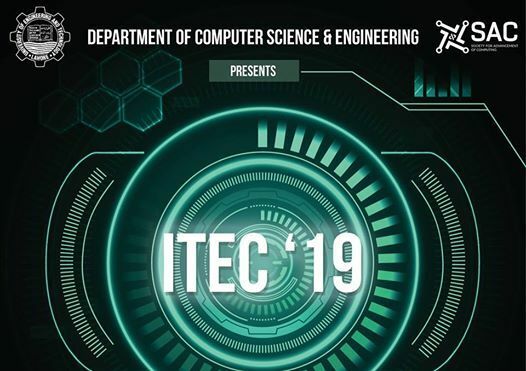 ITEC’19 event will be held in UET. During this event, students will be able to participate in different and exciting competitions. The field of CS and IT offers opportunities in teaching-learning, entrepreneurship, employability, and businesses that have never been witnessed before. The event is an opportunity for individuals to connect with other people. It covers a broad range of activities involving students and teachers, alumni and the industry. We at the Department of Computer Science and Engineering at the University of Engineering and Technology (UET) are proud of pioneering and championing the cause over the last two decades. We believe that the vibrant community of computer science across Pakistan is as thrilled and excited as we are. It's the time to come together and share. UET-ITEC’19 is aimed at fostering collaboration between universities and industry and bringing about a broader and consistent view on learning, research, and innovation. 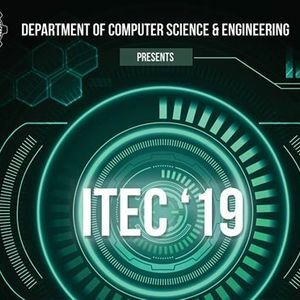 ITEC’19 is offering you to come and join to get the information about new technology which will enhance your concepts and your skills. This event will also help you to strengthen partnerships with other organizations.